These rollers are ideal to build curves for light and medium duty, they are obtained by assembling Polypropylene cone sleeves on the base roller Ø 50. On the protruding part of the smaller diameter there is the pinion with 9 grooves V profile pitch 2,3, 4 mm shape PJ, ISO 9981 DIN 7867, inserted with an intermediate coupling and interchangeable with other heads. The transmission can be easily cartered, thus limiting space consumption, maximizing safety and preventing damages to the Poly-V belts. We foresee just a very flexible two-rib Poly-V belt, for a rollers pitch on inner frame of I=73,7. A 90° curve is typically powedered by a driving unit midway along the curve. The sprocket is made in black Polyamide, while the general features are the same as for the driven sprocket tapered KRO series (base roller 135 series) but with a different lay-out. 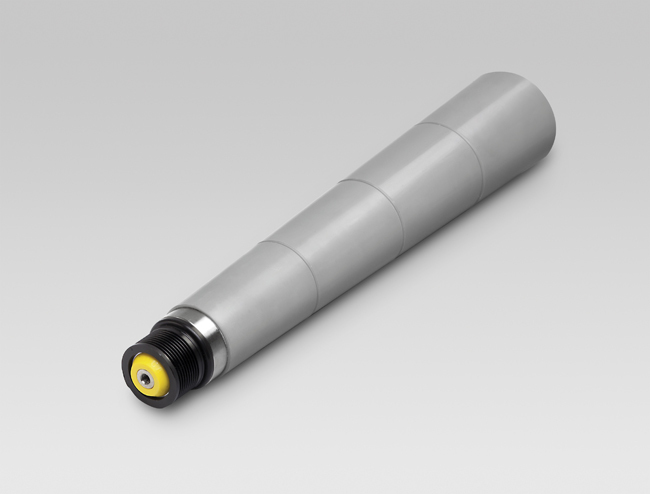 The rollers have precision radial 6002-2RZ bearings.